Just down the road from my house the calves have begun to appear. The mud is getting thick in the yard and driveway. Springtime cometh! Hallelujah! Of course, we'll continue to see snow throughout March, April, and probably into May, but the arrival of the calves is like nature's guarantee that warmer weather and the sight of something green is on the way. The funny thing about calving is that to the rest of us—the spectators— it seems to occur almost magically. 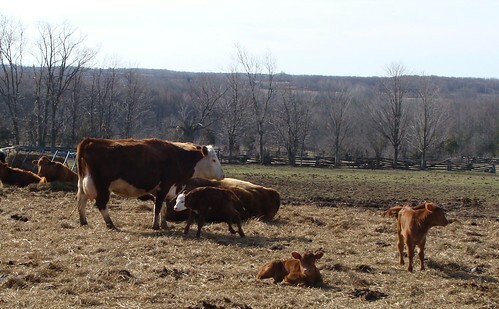 One day there's one calf in the field. The next day, there are three. A few days later there are more baby cows than you can count as you whiz by their pasture. But they're almost always born one at a time. Ranchers are good at focusing on the task at hand. Right now, it's calving season. Pretty much everything they do during this season revolves around calving. And that is our lesson for this week's self help post: Do one thing at a time. Whether you're facing the enormity of spring cleaning, a desk piled with paperwork, a degree to earn, or a new novel to write, no matter how big the project, you can accomplish it one task at a time. Don't get me wrong, I love the idea of multitasking. My 13-year-old son came into my room the other day while I was working out to an exercise DVD. Upon seeing my Kindle propped on the drawer of my highboy dresser at eye level, he rolled his eyes and walked away. Yes, I'm trying to figure out how to read and do cardio at the same time. Most women can cook dinner and talk on the phone and hold a fussy baby and fill out forms for school kids at the same time without harm, but sometimes multitasking causes us to lose sight of what we're doing. we end up interacting with our LISTS. The solution? Pick one thing and do it. Turn your mind to it and apply yourself to the task at hand. Stop fretting about the rest of the list mushrooming in your brain and focus on that one, solitary thing. Whether it's editing a chapter, writing for an hour, cleaning a closet, or plucking your eyebrows. Do one thing at a time. Be there. Be in the moment. When you finish that one thing, move on to the next thing. Another single, solitary thing. Do it, without fretting over all the other items screaming for attention, and so on and so forth. If you get stuck, pray, ask the Lord for direction. "What should I do next, Lord?" You might be surprised how much you can accomplish one thing at a time. As an added bonus, you'll find yourself flexing and bending with the day... instead of freaking out when something yanks you off schedule. To borrow the Apostle Paul's words, I have not yet arrived. But the more I do one thing at a time, on purpose, the more value (and joy, and pleasure, and meaning) I find in what I do. What project or task is overwhelming you right now? What one task can you set your hand to and "get the ball rolling"? Niki Turner writes romantic fiction, Christian non-fiction, blog posts, articles in the local newspaper, lengthy grocery lists, and Facebook status updates. Her first complete manuscript won second place in the 2009 Touched By Love contest for contemporary category romance. Colorado natives, Niki and her husband of 20+ years have four children (three at home) and are soon-to-be grandparents. In 1998 they planted a church in rural northwestern Colorado. Currently, they share their home with three teenage boys, two black Lab mutts, and Niki’s absurdly spoiled Westie, Archie. 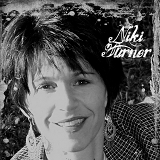 Niki can be found at In Truer Ink, her personal blog and website, here at Inkwell Inspirations, and at The Pastor’s Wife Speaks. It's calving time here, too although some of the ranchers use those ear mitts to keep the calves' ears from freezing - a serious concern in these parts. When we raised goats, the does would drop the kids at the first sign of stress. One New Year's Day, if you had come to visit us, you'd have found 11 kids (baby goats) divided between 2 playpens in our tiny porch. Only enough room to walk past - sideways. The temp had sunk to -50c/-47F and the moms decided they just didn't the hassle, so they gave birth and walked away. But they wouldn't do it while I was there, you see. So, I'd trudge through the cold where spit would crackle and pop before it hit the ground, and up to the house for a pit stop, and by the time I returned 20 mins later, another kid or 2 or 3 would by lying there, covered in birth goop, barely breathing. They weren't even due for several weeks so the babies were all preemie. Like human babies, kids are in that 7-8 lb size. If you know what it's like to feed a newborn every couple hours, try feeding 11 kids when it's not natural for them to take a bottle and yet you have to get the colostrum into them. And yes, getting the colostrum meant many trips to the barn to milk it from the jittery momma's who knew they'd erred and didn't want to be touched. Every trip down usually meant taking some offspring down and trying to get them to bond with their momma. Sometimes it worked - after a week. Usually it didn't. I'd much rather be writing about it, you know? As for doing one thing at a time. It is so true. I'm a great multi-tasker at work. But outside of work, I find myself getting so overwhelmed with things. So I know it's good to just concentrate on one thing at a time. So today, I'm going to make myself do just that. One thing at a time, and wait one hour before changing to another task. Easier said then done, right? We can do it! And I'm all for finding joy in my tasks. Thanks for this, Niki. I love it! Good post, Niki. I've been overwhelmed with stuff to do this week. I struggle everyday to "be in the moment." Wrestling three small girls, ministry, a husband, writing, and a full time job have almost pulled me to dig deep into my energy pouch and go! Bless you! May everyone finish something satisfying today!! Hi everyone! I was absorbed in Outlander and completely neglected everything else I needed to do this morning. Ah well, I was "doing one thing"! Anita, I can't even imagine! We had two goats for awhile. Got 'em to eat weeds. They were the strangest creatures EVER. I think if we'd had the little dairy goats it might have been different, but these were those huge African Nubian goats. Taught me a lot about the differences between goats and sheep! Suzie! Glad all is well in your neck of the woods... that tsunami thing was pretty scary. You're so right about finding joy in our tasks. That's my goal! I mean, we see such catastrophe on the news today, and it makes me think... if something like that happened to me, I would at least want to know that the last thing I did was something I did in joy, in the moment, and as unto the Lord! Yes, I think I saw on facebook that you just discovered Outlander was a series. Dina, I bet you've been overwhelmed with things this week with so much going on for you now! Sometimes I get overwhelmed by the good things, and then I lose the joy that should go with the event! It's like the old adage about eating an elephant... one bite at a time! 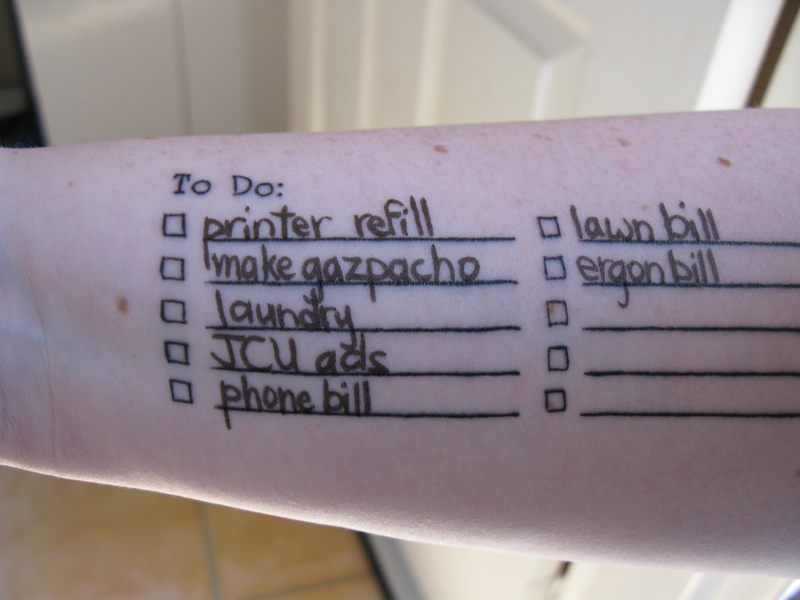 I know what you mean about having so many responsibilities pulling on you! Sometimes it seems like having a clone or two around would be helpful, but then I'd miss out on the experiences (even though they aren't all pleasant or easy)! Be sure to do things that keep you refueled and recharged to stay "plugged in" to life! Cheryl, wonderful close to your comment! I agree, may everyone finish something satisfying today, you, too! I seriously doubt I'll finish Outlander today, but I'm gonna enjoy every moment reading it! Sad, isn't it, Dina? I read Outlander when it very first came out 20 years ago, right after I had my oldest kiddo. I have a feeling I MAY have read Dragonfly in Amber (that would have been while pregnant with or shortly after baby #2), but I don't really remember it. And then I went on my "fiction fast" for almost 15 years and missed all the rest! Hee hee... good thing books last a long time! I am doing ONE THING to the expense of others. Please do not come to my house this month. It's disgusting. Re: I think the 7th(?) in the Outlander series was as good as the first. So hang in there. Deb, that's funny! Good for you... sometimes we have to do ONE THING at the expense of other people's comfort, or what other people think! You're so right, Niki. If a disaster like that struck here, I'd want to know I didn't spend my last few minutes playing spider solitaire. I mean, really. I need to pray my way away from that game! So far, I have only read the first Outlander book. I did enjoy it. One of these days I'm going to read another one or two. Happy reading! Pretty soon you'll have to just be gramma. On really cool thing! Suzie, thank you! I'm hoping to stay in a Scottish Highland fog for the next few days! Yahoo, Deb! Nine weeks and six days, she tells me. I'm getting excited! Great reminder, Niki. I'm facing a lot of tasks and I need to just get one thing done at a time. Thanks!